The Publishers will not knowingly or systematically sell or allow downloads of the Electronic Edition outside the Territory. The Electronic Edition shall not be enhanced, amplified, adapted, abridged, bundled or combined with any other work/s nor vary from the Print Edition in any material way without the prior written approval of the Proprietor. For the avoidance of doubt, the right to sell or distribute the Electronic Edition via any digital subscription service is not permitted under this Agreement. "This meticulously researched book, based on archival research in nine countries, lays out a comprehensive overview of the economic history of West Africa and West-Central Africa before and after the slave trade. . . . A valuable history written in an accessible style." "Toby Green's transformative book repositions West African history in an entirely new light. It brings into focus the region's fundamental place in shaping the modern world as well as the powerful and also difficult legacy of this today." "A rich and insightful work. . . . What emerges is a radically different view of the region from the one that has been generally available. West Africa, according to Green, was both cosmopolitan in its outlook, culturally and politically sophisticated and in some ways globally connected long before Europeans arrived to ‘civilise the natives.' . . . Green concludes by pointing to the lack of history being taught in schools and universities in West Africa and elsewhere; if it is taught at all, it tends to focus on the slave trade. 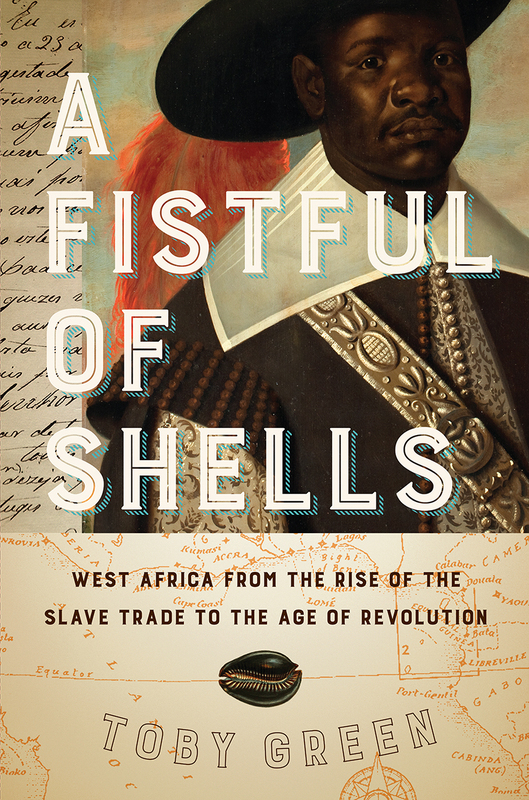 A Fistful of Shells shows that there was so much more, and of so much relevance when looking at the issues of our own time." "A magisterial, extensive and fresh account of the history of West Africa that rewrites the region and its peoples back into World History, where they belong."